Why does he sprays like a retard silver 4 russian? Is he that bad at spraying? Any vids available? hes spray is "diffrent" he shakes mouse alot while spraying. don't think so, it's just "diffrent" and it will be worse or best in some scenarios. what was that headshot spray aimsnap? Because he uses 4 sens and his heart rate is 500 on lan. Why are you criticizing him? kjaerbye jaerbye aerbye erbye rbye bye bye? bye to dignitas? -kjarbye donfirmed. 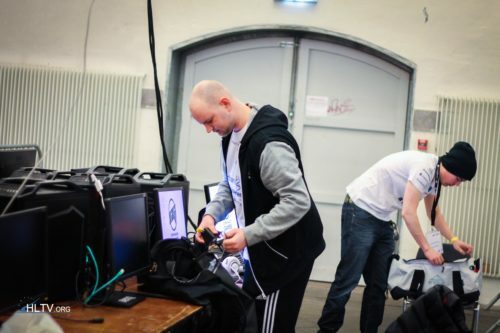 a reliable insider source confirmed his dignitas tryout went like this pimp: wtf pretty sure he's cheating, dat spray looks exactly like a crummy 1.6 aimbot msl: yeah but there's no way he would be that blatant right? like it must just be weird nerves or technique or something pimp: but how is he still fragging so gud? msl: ... pimp: ... ??? kjaerbye: profit!